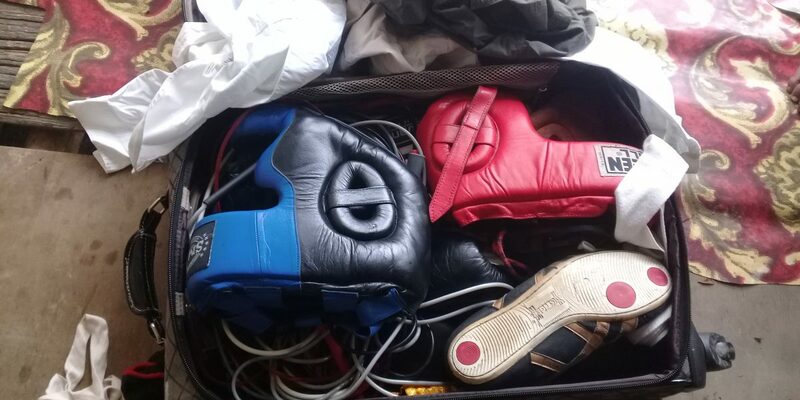 Joes Boxing Gym/News/Suitcase loaded with goxing gear goes to Wewak in PNG . After our efforts supporting Wildlife Boxing Club in Port Moresby and then the fantastic support garnering over 100 Rugby League jerseys, shorts and socks for the boys in Goroka in the Eastern Highlands I was contacted by Lucas G from Wewak which is the North Eastern part of Papua New Guinea asking for equipment for their boxing club. It is a bit tricky and expensive to post stuff to PNG but it did arrive safely and so I hope this will be the start of building a relationship between our clubs. For those who have not ventured to New Guinea is it is a very wild somewhat dangerous but amazing country so close to us in proximity but a world away culturally and extremely poor. No roads connect the country so plane or boat or by foot are the main ways to get around. My last trip to Goroka was amazing and I hope I will be invited to Wewak and I hope this time some of you will come on the adventure too.